Aditya Roy Kapur who will be seen in a very different avatar in his next Fitoor has been getting a lot of appreciation. All the pictures which have come out from on the sets of the shoot have garnered a lot of attraction. But the actor has got the best appreciation from his mother. While aditya roy Kapur have been seen in a lot of different looks his mother has loved the way he look in Fitoor. The actor is playing the role of a Kashmiri artist. A lot of work has gone on the way his hair looks. 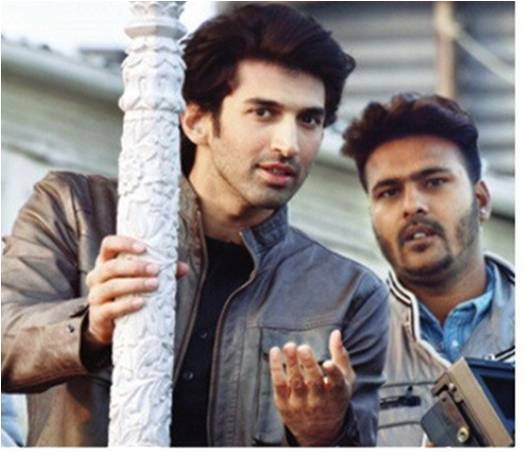 While Aditya has been seen in messy hair to a crew cut, this look has a very different style to it. The hair has set into a boy next door look and the actor has been maintaining it perfectly even while he is not shooting. When the first look of the film had come out she had called Aditya to talk about how much she likes the way he is looking in the film.